Happy - almost week late - Thanksgiving! Here is my real Happy Thanksgiving to you including what I am grateful for! Here is what we did via Instagram! Lily is hilarious/cute/darling and she put the flower in my hair, haha and I honestly think I look weird in this picture but whatever, I'm posting it. And I want Lily's shirt; sparkles rock. 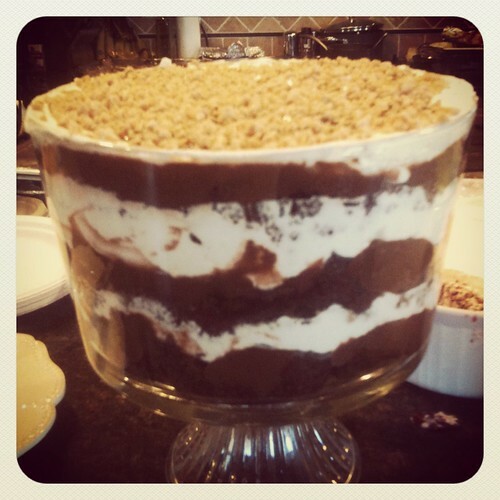 Layers include: Chocolate cake, chocolate pudding, hot fudge, home made whip cream, heath bar crumbles, repeat. 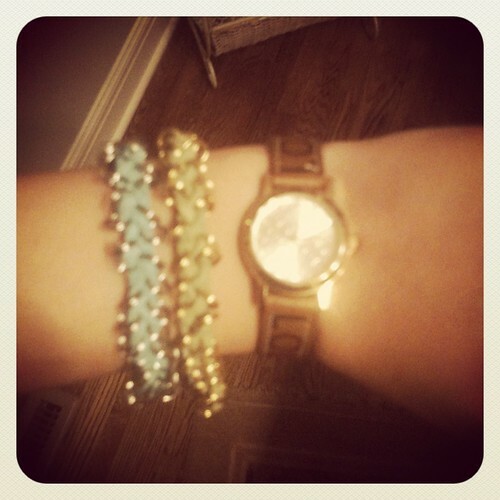 & made these bracelets with my sister-in-law Tara! Courtesy of this tutorial from the blog, Stephanie & Such! One for my sister (on her mission) & 1 for me! 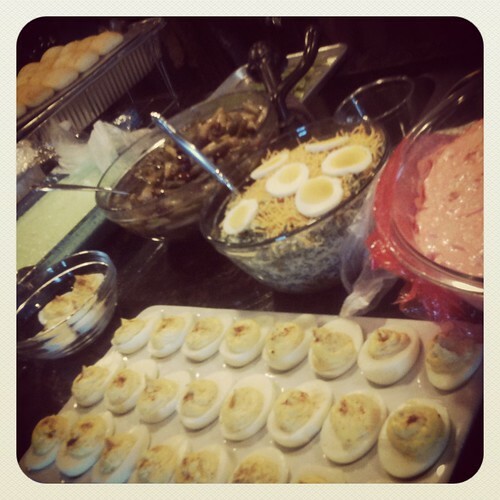 My favorites from this year include: stuffing, jello, asparagus, rolls, and our trifle! I love these Instagram posts! Even though I have seen them ;) I think you should make some bracelets & sell 'em! Pretty bracelets! I am all hungry again...especially after seeing that trifle. That is ALWAYS my favorite- so light and yummy! Glad you had a great time! 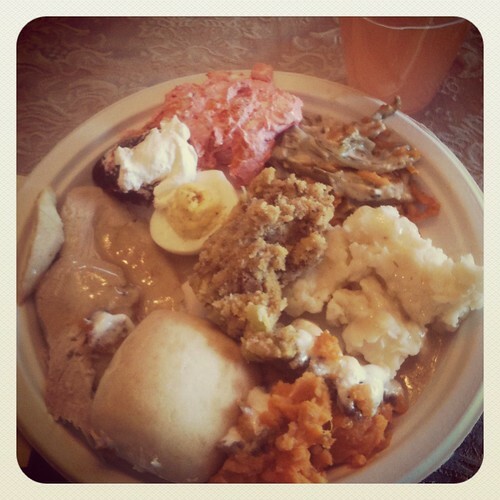 Favorite Thanksgiving food? My mom's turkey and dressing. Hands down. What a fun weekend! 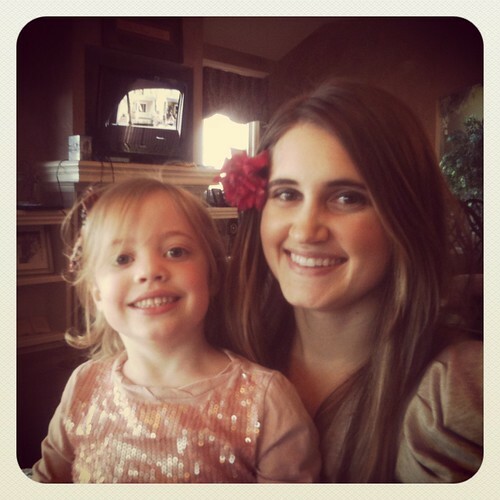 :] So many cute pictures!! And that chocolate layered cake looks AMAZING!! Actually, all of the food looks amazing! 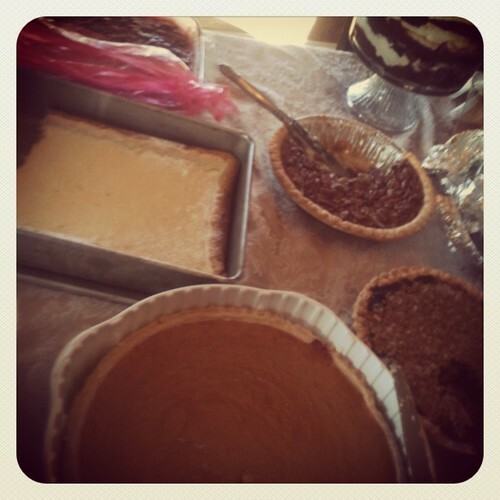 Looks like a lovely Thanksgiving! Also, love the bracelets. Looks like a good idea! 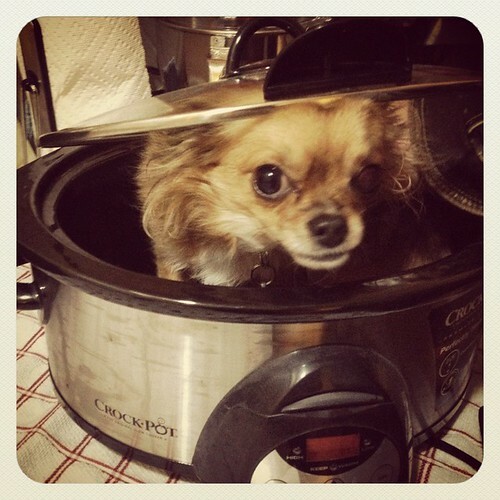 I hope you had a nice Thanksgiving, I love the pooch in the crock pot too funny! 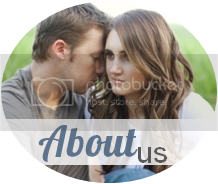 Just finding your blog now!!! Fun thanksgiving!! Those bracelets look so cute! I love seeing tutorials and ideas and actually making them, so satisfying!